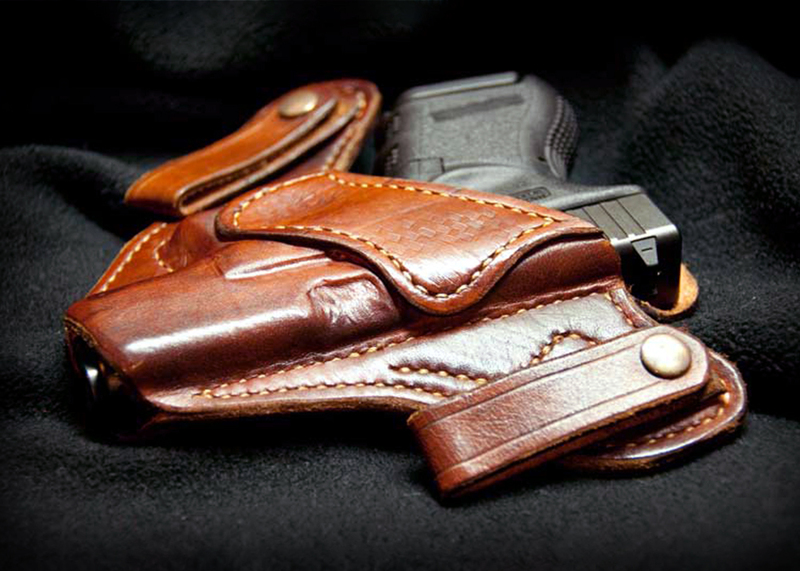 Carrying a concealed weapon is one of the best ways to protect yourself from those who might wish you harm. Anyone could be carrying a concealed weapon and you wouldn't even know it unless a situation arose in which the weapon became necessary. Of course, owning and carrying a concealed weapon comes with a long list of responsibilities. Here are a few tips to help stay on top of those responsibilities. You might be surprised how many novice concealed carriers make this mistake. The whole point is to prevent anyone from knowing that you have a weapon, so don't give it away with bulky holsters or outfits specifically catered to the piece. You might also be tempted to fidget with the weapon while it's concealed on your person, but that just draws more attention to it. It's better to wear clothing that has a looser fit so you can conceal and easily access the weapon. You should also ignore the weapon on your person until it's necessary. While most areas require concealed carry permits, the training that goes with those permits is usually short and not entirely effective. It will teach you the rules and give you basic instructions, but you must practice those techniques at home as often as you can so you won't endanger yourself or those around you. Go to a range and practice drawing the weapon from its concealed position on your body. If you can get accustomed to the motion in a safe setting, you're much more likely to remember it in a high-stress situation like one that would require a weapon. It's also a good idea to practice with different types of clothing and with the weapon concealed in different locations on your person. This will prepare you for anything. Another common mistake is getting complacent with your placement of the weapon on your person. This is especially true for those who have been carrying for some time and never needed to use the weapon. Just because you never have, doesn't mean you never will. Keep the weapon somewhere that's fully concealed, but that can also be accessed in only a few seconds. In many cases where a gun would be required for personal safety, you won't have a lot of time to draw it. You can't waste precious seconds fumbling with clothing or complex holsters. If your attacker makes the first move and surprises you, you need to be prepared for instant retaliation. Your most vulnerable moments are the moments in which you'll need the most protection. This might seem silly to some of the more experienced gunmen, but there are many novice users who aren't comfortable carrying their weapon with a round loaded into the chamber. They feel as if the weapon could go off at any moment, which simply isn't true. Modern guns absolutely will not fire unless someone or something pulls the trigger, so there's no harm in leaving a round in the chamber. In fact, unless you happen to be the fastest gunslinger in the world, keeping a round in the chamber can mean the difference between successfully protecting yourself and becoming another statistic. If you're on the fence about carrying a weapon with the round in the chamber, the only real way to fight that fear is to face it head on. Guns are powerful weapons, but they aren't infallible. Weekly inspections are required to keep them in top form. Revolvers and other handguns can experience issues after being carried for several days. Perhaps their concealed location makes them susceptible to sweat, which can corrode the internal components and make the gun nonfunctional. Even pocket lint can adversely affect the function of a gun. Cleaning and properly maintaining your weapon on a weekly basis is a good habit to start from the beginning. You can find gun maintenance and cleaning checklists all over the web. Alex Briggs is a contributing writer and media specialist for Galco Gunleather. He regularly produces content for a variety of gun and personal safety blogs.